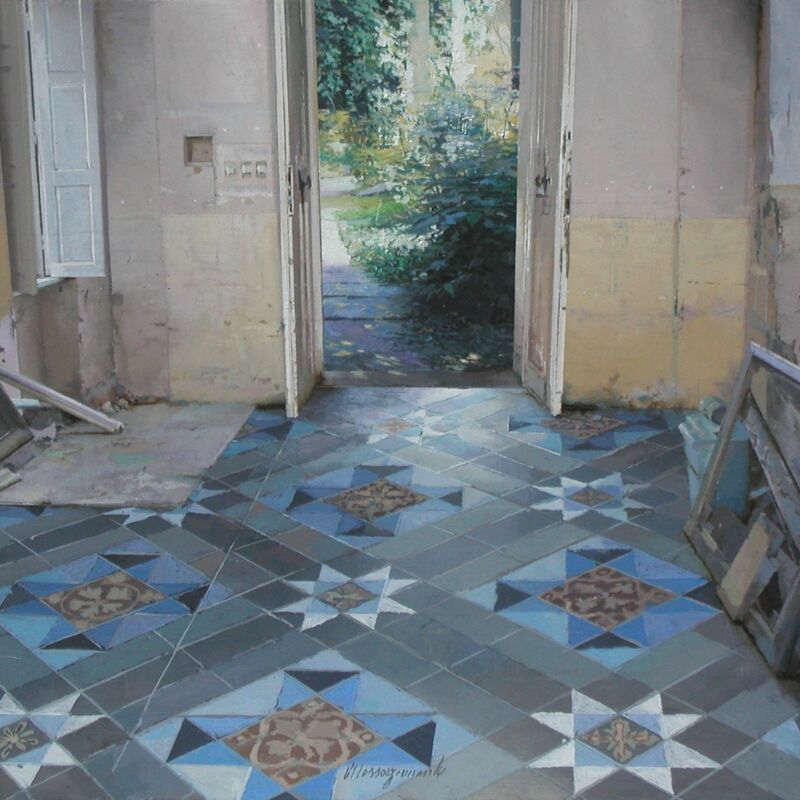 Matteo Massagrande was born in 1959 in Padua, Italy. He is a painter steeped in the history and tradition of figurative representation. He has been exhibiting his work since 1973, and has shown extensively around the world, his paintings featuring in many public and private collections. He divides his time between Padua and Hajos, Hungary. The influence of both locations is fundamental to the content and spirit of his practice. This is his source material. In their subject matter and method of execution the paintings evoke light, place and time. Most show architectural interiors with vistas through to exterior spaces, some focus on cryptically symbolic trees. He is particularly interested in revealing the light that articulates and discloses the subject. His technical accomplishment is evident in their subtle expression, where he deploys a masterful and meticulous command of colour and tonality.